On your mark, get set, paddle! 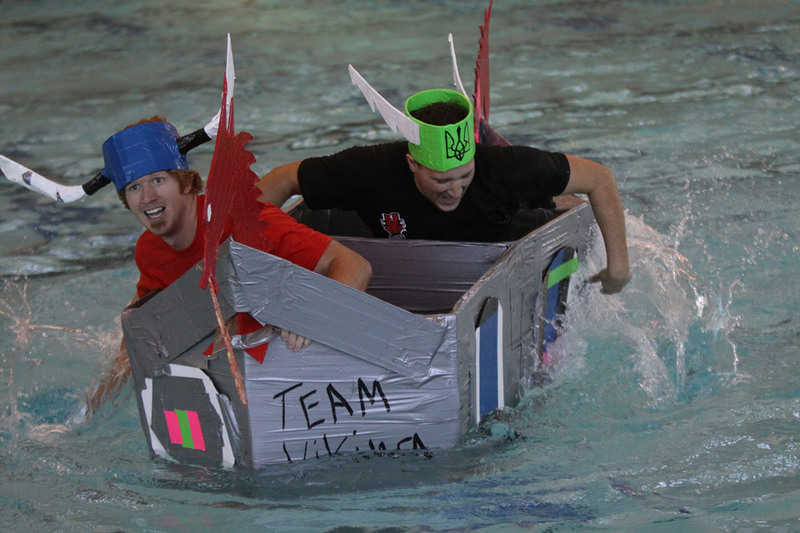 Southern Utah University's Department of Engineering and Construction Management is once again hosting its semi-annual cardboard boat race, but this year is a little different. As in years past, the race is open to all members of SUU’s campus community. Faculty, staff and students are invited to join in the fun as they design, construct and eventually race their cardboard creations across the SUU Pool. Dodgion says her advice comes from experience, having seen many good looking boats sink to watery depths soon after being placed in the pool. For nearly 15 years, the cardboard boat races have been bringing members from across campus together to cheer each other on in the races. Hansen welcomes all who wish to race to enter the competition, even encouraging those who don’t know how to build a boat to stop by his office and come build one with him in the engineering lab. “I don’t want people to feel like they need to be an engineering expert to enter,” Dodgion says. Some of last year’s winners were students from the College of Performing and Visual Arts who showed up in pirate costumes and stole the show and prizes. “We do expect to see some fun this year as well,” says Dodgion and added that costumes would be much appreciated. Entries will be accepted up until the day of the race. Ships will set sail on Wednesday, October 29, at 1 p.m. Rules and race procedures can be found online at www.suu.edu/cose/etcm/boats.